Tired of waiting on an ice bath for hours on end to get your wort down to pitching temperature? Chill out! Chilling wort quickly is imperative to creating great beer, and Great Fermentations has a number of options, from immersion chillers of different lengths to counterflow chillers, that help you get your wort cooled fast. From a range of chilling options to all the fittings and accessories you need to get going, Great Fermentations has what you need right here! A plate chiller from Duda Diesel! Chill wort under standard conditions to 75F instantly! Tired of using ice baths to chill your wort? 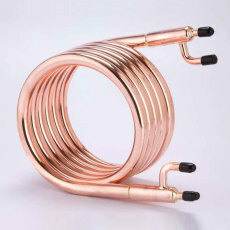 Chill your wort fast with an immersion wort chiller, and be on your way to making better beer! 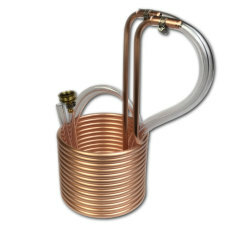 Our Standard Immersion Wort Chiller is made from 25 feet of copper tubing, and is one of the best upgrades a beginning brewer can make to their setup. 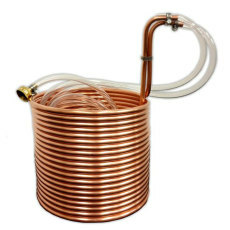 An upgrade from our standard immersion chiller, the jumbo version features a whopping 50 feet of copper tubing to help chill your wort even faster. 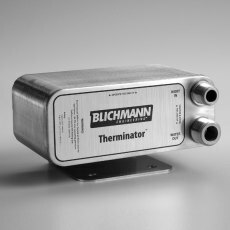 Blichmann's professional-grade plate chiller, the Therminator is an engineering masterpiece that marries form and function to give you the fastest way to chill your wort possible. Use as a gravity-fed or pump-driven cooling system to give you consistent results every time! Cools wort faster than traditional immersion chillers! NEW AND IMPROVED DESIGN! Now with 1/2 in. NPT fittings for the wort inlet and outlet! 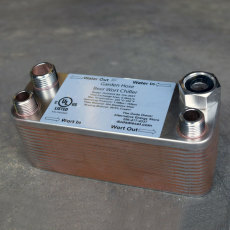 A compact, all-metal counterflow wort chiller that puts the freeze on the competition! Tired of using ice baths to chill your wort? 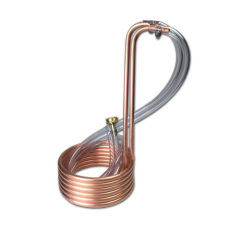 Chill your wort fast with an immersion wort chiller, and be on your way to making better beer! Our Standard Stainless Steel Immersion Wort Chiller is made from 25 feet of stainless steel tubing, and is one of the best upgrades a beginning brewer can make to their setup. Tired of using ice baths to chill your wort? 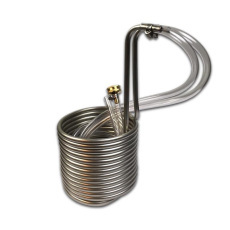 Chill your wort fast with an immersion wort chiller, and be on your way to making better beer! 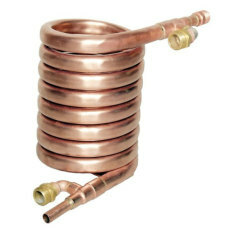 Our Small Immersion Wort Chiller is made from 12.5 feet of copper tubing, and is perfect for 1 to 3 gallon batch sizes! 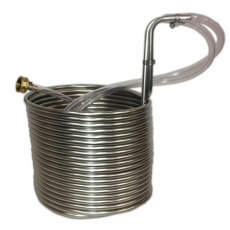 An upgrade from our standard immersion chiller, the jumbo version features a whopping 50 feet of stainless steel tubing to help chill your wort even faster. 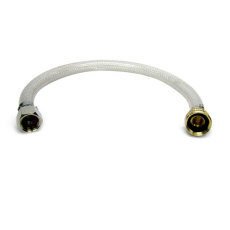 A backflush assembly that makes keeping your Therminator clear of debris simple! Cleanliness and sanitation are key in making good beer, and this backflush assembly helps you to do just that, ensuring a clean and well-functioning Therminator for years to come. 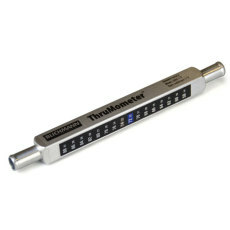 Blichmann's Thrumometer is a thermometer that gives real-time feedback on the temperatures of liquids that flow through it. 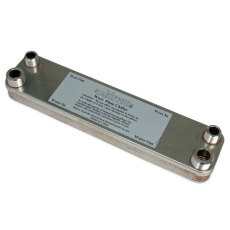 Ideal for use when chilling with the Blichmann Therminator, or any counterflow chiller!